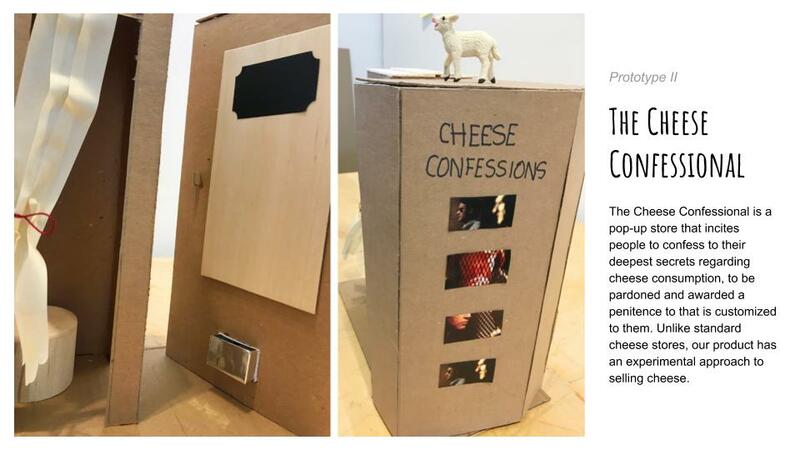 To create a ‘pop-up’ experience (8' X 4') for the retail of cheese. Part of the challenge was to design an experience that communicates a concept for the future of retail, with immersive physical and digital signature moments to engage the audience. Customer discovery and development through intercepts, ethnographic interviews, social listening and observation. The insights were used to build customer personas and journey maps that resulted in a clear understanding of the problems with the existing cheese buying experience. A key part of the project was framing the 'people problem statement' or challenge area that we wanted to focus on. While a number of insights were surfaced, synthesizing findings and distilling information to its core was crucial to the success of the project. Divergent thinking techniques such as brainstorming, storyboarding, rapid prototyping and role playing were employed to generate a number of concepts. Journey maps were created in order to explore the experience from the customer's perspective holistically. 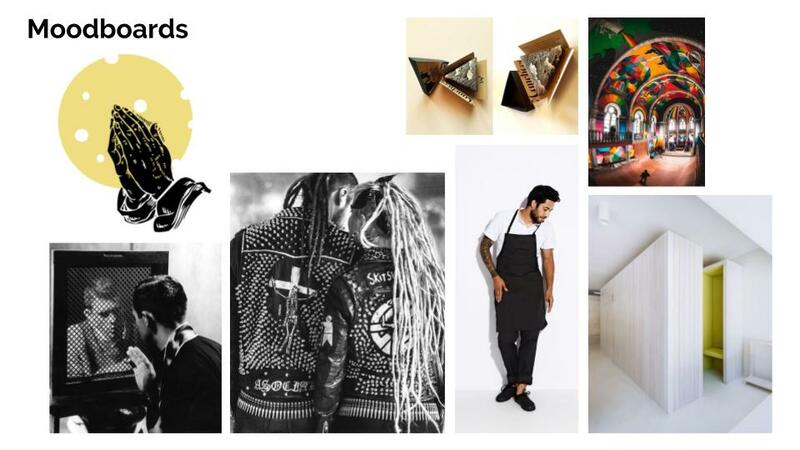 Shortlisted concepts were further developed as high fidelity models and tested through micro pilots to gauge customer engagement. Micropilots were designed to test our hypotheses around the level of interest in sharing a personal cheese story and willingness to enter and spend a few minutes at a cheese confessional. We ran a twitter campaign that gained immediate traction, with individuals all over the world sharing anecdotes on their relationship with cheese. Subsequently, we staged a mock experience at a public location and attracted several users eager to share their stories, surpassing our desired metrics by far. 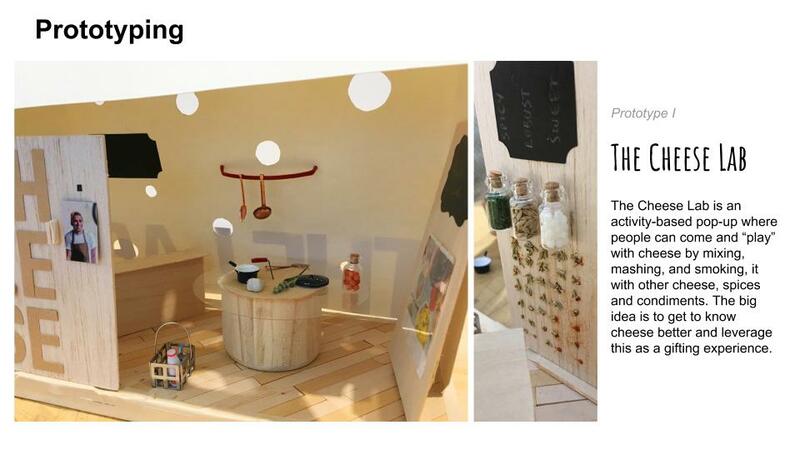 After several cycles of testing, gathering feedback and refining the concept, the pop-up store was built inclusive of both interactive digital and physical components for the public to engage with.